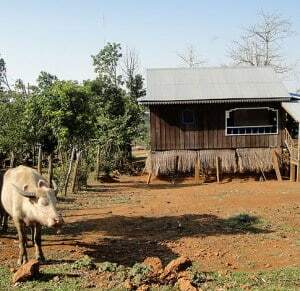 " Mondolkiri, elephants and forests "
Yearning to have adventures in the Khmer mountains and to meet ethnic minorities? 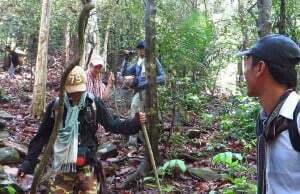 Our guides are specialized in trekking and hiking all over Cambodia and will take you to the heart of the mountainous region of Mondolkiri. You will meet and bathe with elephants, a unique experience! 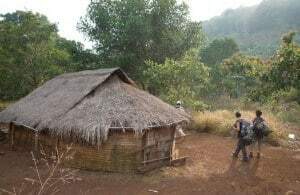 You will also trek into the heart of the Mondolkiri Mountains to meet the local communities. Step on board a canoe on the Kampi rapids and maybe endangered Irrawaddy dolphins will appear. 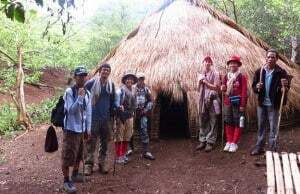 Prepare your backpack and hiking shoes and travel far off the beaten tracks ! This morning, drive through villages, among the red soil landscape surrounding Beng Mealea. 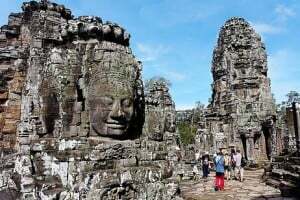 On the way, sample the peaceful life of Cambodia and local crafts (iron mongering, hairdressing, sugar palm farming, etc.). Beng Mealea Temple is next, still engulfed by lush jungle. 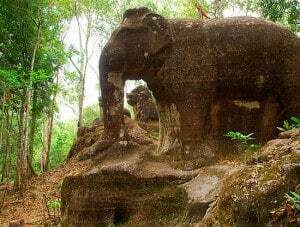 By car, transfer to Phnom Kulen, the sacred mountain of the Khmers (+350 meters). 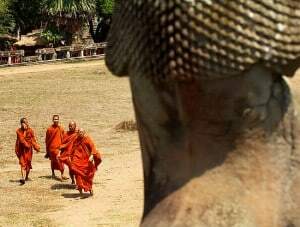 Pilgrims hike the hill to pray at the feet of the statue of a reclining Buddha. Crossing the River of a Thousand Lingas, the plateau is now reached, while our path continues up to the waterfall. After lunch, the hike winds through narrow forest paths that lead to the village for our overnight stay. 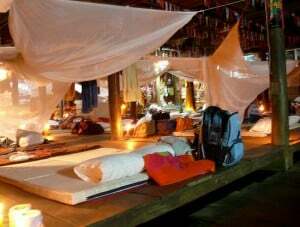 Night at a home stay (5-6h hike, -+350 meters depending on the start, at the foot of the hill or at the waterfall). This morning, by car, we reach and explore the village of the Bunong community. Opening their doors, the village craftsmen welcome us (discover local handicrafts and the people\'s daily lives). The adventure continues (by car) before resuming the trek. 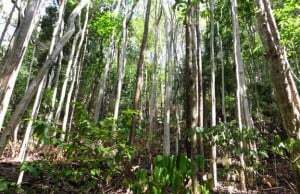 You will discover the tropical forest and its elephants. Shortly after, we are on their territory. It is possible to come close to the animals and feed them their favorite snacks: bananas and bamboo. The mahouts (elephant trainers) let us observe the elephants before returning to the waterfall. 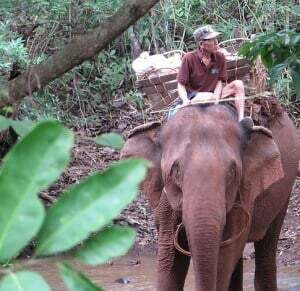 Enjoy this time and share with the Bunong people, learn and/or discover their daily life in the tropical forest among these great pachyderms. 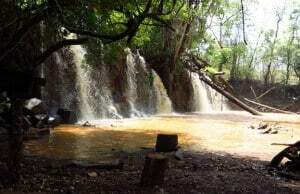 Lunch takes place near the waterfall and includes tasty traditional dishes prepared by the mahouts. Helping is encouraged. The waterfall is tempting and inviting you for a swim. The elephants join us for their daily bath. They also need cooling. The mahouts ask us for assistance. Here we are, spraying the elephants with water! 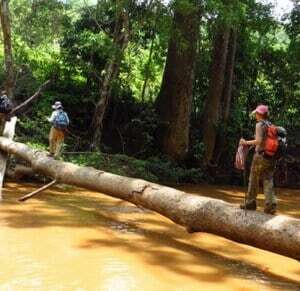 In the afternoon, the trek resumes through the tropical forest of Mondolkiri. We thank our hosts (elephants and mahouts). Crossing rivers, forests and fields our destination is reached at the end of the day. 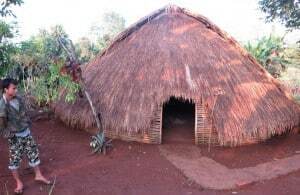 Dinner and overnight in a home stay. The day ends filled with unprecedentedly vibrant and atypical experiences. 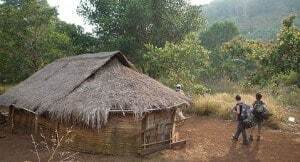 (A one-day trek for 3-4 hours) Ms. Leng is present in the morning to introduce us to the local life and that of the elephants. A mahout only cares for one elephant during his whole life. 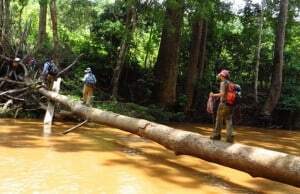 Second day trekking in another part of the Mondolkiri. 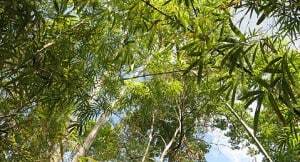 Visit a coffee plantation and taste this very unusual beverage with cocoa aroma. We continue, to reach a magnificent waterfall. 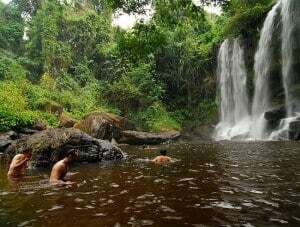 Swim and picnic in the cool waters of the waterfall. The trek resumes and after crossing small valleys and rivers, we arrive in a village where the Phnong ethnic minority lives. 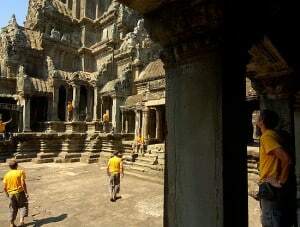 Entrances to the sites and museums (excluding the Angkor pass: US$72/person/ 7 days ). When trekking, it is recommended to use boot- type shoes in order to protect the ankle and the malleolus, and prevent twists or sprains. The sole must be notched and slightly rigid. The front of the foot must be protected against shocks and rocks.